What tools do I need and how do I use them to engrave? 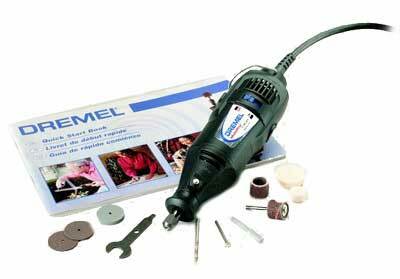 Rotary tools such as the Dremel are sold as "multi-purpose" and one of those purposes is engraving - there are other tools that might work just as well but Dremel is a renowned brand and is easy to find. If you just plan to try engraving once then you could buy a less expensive model, but if you get the engraving bug, like me, then you will probably want to upgrade to the Dremel. 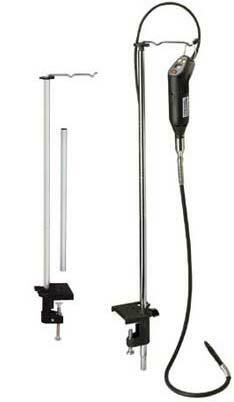 Not forgetting that a quality rotary tool can be extremely useful as a modding tool in its own right. 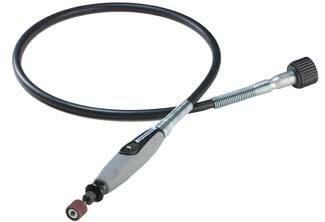 There are many accessories for the Dremel, such as the Flex shaft. Like many rotary tools the Dremel can be a bit big to "draw” with, which is essentially what engraving is. Attaching the Flex shaft gives you a pen like tool, which is much more natural to hold for drawing. In addition, it also allows considerably more freedom of movement, making it easier to use. Another useful attachment or help is the "flex shaft tool holder": if you use the flex shaft on its own you need to hold it in certain positions or the Dremel's drive becomes disengaged and will not spin the tool bit, but with the holder this issue is solved.